When it comes to taking credit and debit card payments directly into the software, no-one does it better than Flobot. What makes this such a great thing to do is that unlike taking a payment into a chip and pin machine or even a smart phone app like Zettle, the payment is badged directly to your customer and an instant receipt sent out to them - so no double entry because the information is already there. Taking card payments is simple and secure. Flobot uses the industry standard gateway Sage Pay to process your customer payments. That means you can take payments online, over the telephone and even face to face. 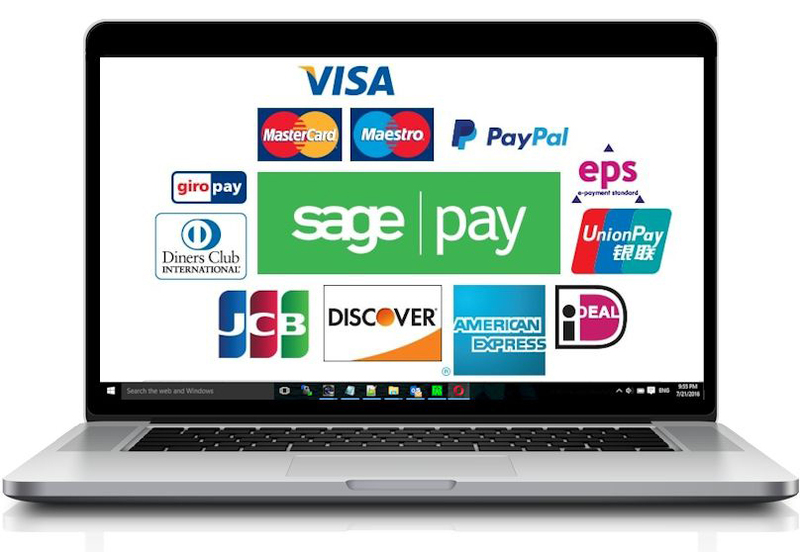 Sage Pay is Europe's leading independent payment service provider (PSP) and is one of the most trusted payment brands. They are part of The Sage Group, a FTSE 1000 listed Global accounting software company. Every year, they process over 4 billion payments securely online, over the phone and through card machines. Over 50,000 businesses across Europe rely on Sage Pay to process card payments securely and help prevent fraudulent transactions. All Sage Pay transactions are encrypted to the highest global standards. Their payment systems are monitored and audited regularly by world leading Qualified Security Assessors (QSA), so you can be confident that their services and by association Flobot's are completely secure. Frequently Asked Questions about Sage Pay. Man Friday Services is a handyman and propert maintenace company covering London and the surrounding areas in the UK. They use Flobot to manage their business work-flow and field service contractors and Sage Pay to process the customer card payments. Job done. Get paid instantly. Feels good, doesn't it? It's never been easier to take payment. Flobot allows you to take payments from your customers over the telephone, and securely store the card details ready for when the job's done. Gone is the requirement for a field engineer to walk around with a hand-held payment terminal. You can take payment in the field or back at the office and most importantly reconcile that payment onto the customers account instantly - no more collecting card receipts. Taking payment on a chip and pin device means paperwork - reconciling the payment with the customer's account is time consuming and prone to mistakes. With Flobot, there's no paperwork - your customer's card is charged instantly while your engineer is on site. Even better, payment data is stored against your customer's account so you never have to tie up payments with jobs - it's already done for you. Flobot allows you to safely and securely store encrypted customer card details before the job has taken place meaning there's no need to chase customers for payments and issue invoices - especially for a reactive job. You can simply charge the card once the job has been completed by letting FieldNet do it for you, or letting your admin team process the card payment in one click. Simple and instant. Just taken a payment? Now is the ideal time to offer your customer a promotional voucher for repeat custom or display your monthly deal. Flobot enables you to maximise business opportunities and sell more of your services by allowing you to build your own loyalty schemes and even build customised discount codes.